The pace of advancement in optical technology is falling behind compute, networking and storage on the order of about four times every 5 years. 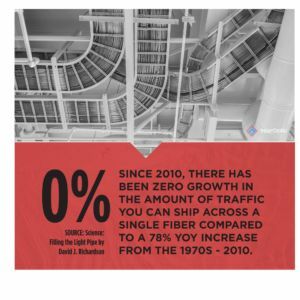 Yet, bandwidth, complexity and data demands are skyrocketing at an unprecedented pace. View the complete infographic here. 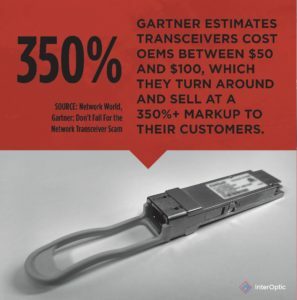 Anyone responsible for network installation understands that the cost of optics can be significant. Brace yourselves. Do you really know just how much you are overpaying for those SFP transceivers? The promise of the cloud has been a boon in so many ways, but the reality of implementing sweeping changes IRL sometimes looks different. 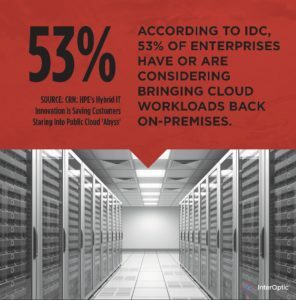 More than half of large enterprises are discovering that it can be more efficient and effective to bring select cloud workloads back on premise. Internet of Things (IoT) is one of the many buzzphrases floating around the tech world today. Consider that the impact on your data center now comes from all manner of sources including that smart toaster you always wanted but never needed. 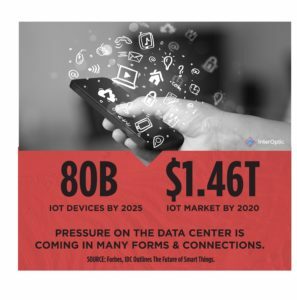 What does this mean for your data center operations? Will you need to rethink how you are set up? And what impact will that have on the network transceivers required to keep everything humming along? Huge advancements in data processing, high-definition video and other bandwidth hogs are putting unprecedented pressure on network infrastructure to the point where we are literally reaching the physical limits of what can be transmitted across single mode fiber optics. We are very quickly getting to a point where Internet traffic, capacity and demands are going to cross over that Layer zero line and it’s a ticking time bomb. These are just a handful of the trends putting pressure on data center support. We spoke in more detail about the topic of data interconnect in our Packet Pushers podcast, All About Optics. Fortunately, there are data center service providers like us who know a thing or two about network transceivers, single and multimode fiber. InterOptic helps enterprise companies and government institutions meet increasing bandwidth, complexity, and interoperability demands in their IT environments.